Detail : A legitimate release ! 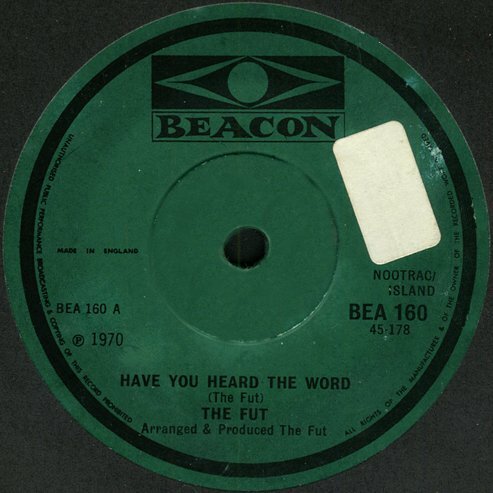 "Have You Heard The Word" regularly appears on Beatles Bootlegs as a 'long lost' Beatles recording. Here follows the true story, and full details of the recording and subsequent releases. Two Australians Steve Kipner and Steve Groves arrived in England early in 1969 and were signed by Maurice Gibb for his new production company under the band name of "Tin Tin". Maurice Gibb already knew Steve Kipner, as Steve was the son of Nat Kipner, who had been involved with the Bee Gees last Australian album, plus Steve had recorded the Gibb song "Little Miss Rhythm and Blues" with his band "Steve and the Board." Kipner and Groves had written a song entitled "Have You Heard The Word" which they intended to record at their next recording session at which Maurice Gibb was due to produce. At the rehearsal session in August 1969 at the I.B.C. studio in London, Maurice arrived with his wife (at the time), Lulu, and her brother Billy Laurie, plus most importantly for this destined for legendary status session, a bottle of Johnnie Walker scotch ! The bottle was consumed by all, which left the band too drunk to sing, so just for a joke the two Steve's, Maurice Gibb and Billy Laurie put on headphones and crowded around the studio mike. Using a backing track for the intended song that had been recorded earlier by Kipner and Groves, they launched into a Beatles impersonation (with deliberation). The only recording was made live, with no overdubs made afterwards. Basically, it was just a good laugh ... a good sing-song ... then everyone went home. The song was NOT intended for release, and the tape of the session's movement from the studio to the cutting room is unknown, although I suspect a recording engineer somewhere out there could complete that part of the story. The track appeared on a single in 1970 on the Beacon label (catalogue number BEA 160), which although could be bought through legitimate record shops (as indeed I did), it is now considered to be a slightly unofficial release. Under the unknown band name of The Fut, the word on the streets was that this WAS a Beatles "undercover" release. 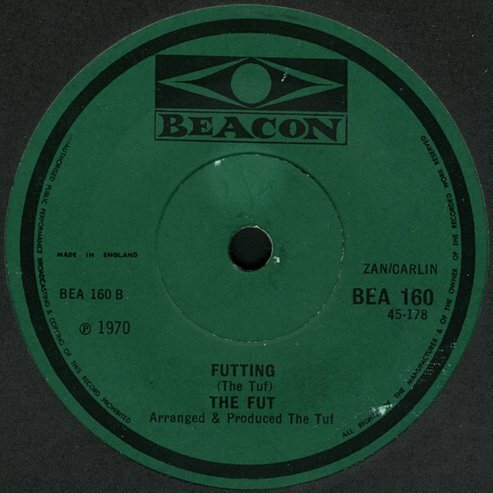 The instrumental B-side, "Futting", is reported as being an unrelated piece of filler. In May 1974 Abigail Music registered a US copyright for Kipner and Groves of the song. From then on, the track appeared firstly on the bootleg album "Have You Heard The Word" on the infamous CBM label (catalogue number WEC 3624) in 1975 see it here, followed by many other Boots over the years. One final twist to the saga of "Have You Heard The Word", is that Yoko Ono also registered a U.S. copyright under Lenono Music for John Lennon on 20th September 1985 ! That all said, it IS a very good song that at the time was definately spot on in the Beatle style of words and music, and is worthy of being in the core collection of any Beatles fan.